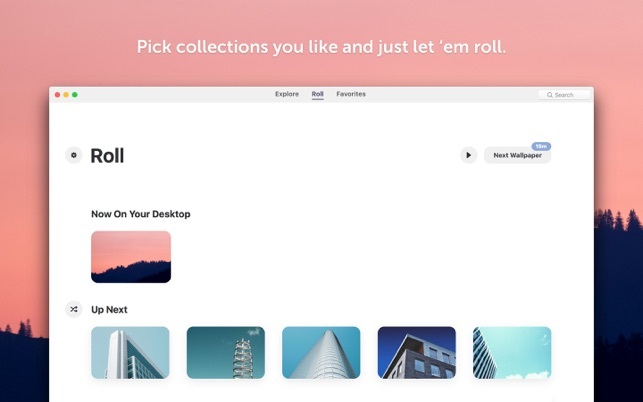 Choose from hundreds of curated desktop pictures in HD, and the app will set you a new background every week, day, or hour. 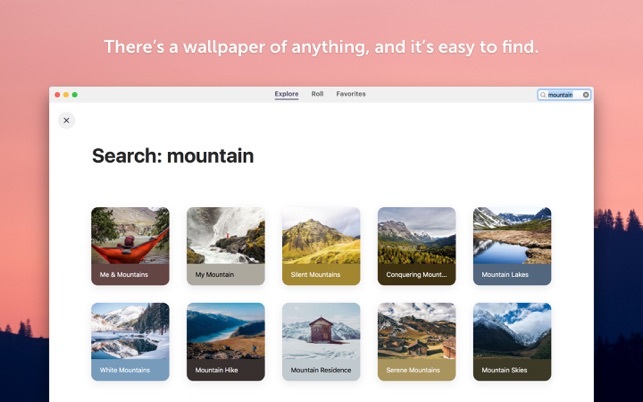 Finally, you can spare yourself the pain of sifting through Google Images — with Wallpaper Wizard 2, you’ll have enough fresh wallpapers for your Mac’s entire lifetime. And finally, even if you juggle multiple displays, Wallpaper Wizard 2 will make them all pretty. 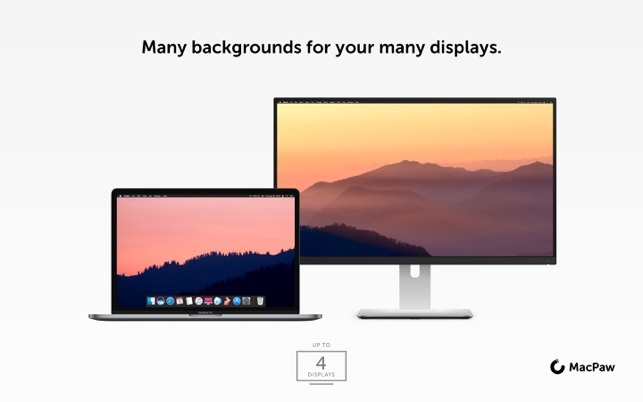 Get Multi-display as an in-app purchase and literally surround yourself with beauty. Don’t waste your money! Nice idea but not good enough. 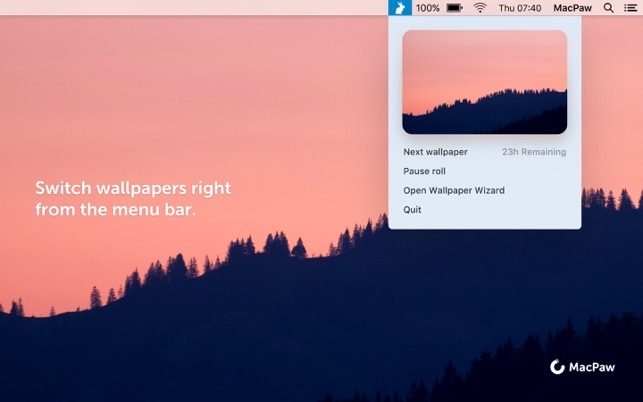 I really liked this idea of collecting your favorite wallpaper in one place that you can easily change. But it is really lacking. It’s advertised as over 25,000 images with new monthly additions. Even if that’s true, the selection is still very limited and new additions should be more frequent… weekly. The UI is pleasant and easy to use. Most of the images are photographs which are of good quality. But the selection and options are sparse and the categories are not diverse enough. Where are the art, computer graphics, space, fantasy, abstract, and good ole patterns categories? Each category has maybe 10 images each. It looks like the app was put on the market while still in development when they didn’t have enough content. When you can google hd wallpaper and get tons of variety for free, this app really needs to step up its game if it wants to succeed. I would love to give this app more stars but until they offer a better selection of images, I just can’t. Update: I removed a star because I never recieved a response from the developer. Bad customer service! Dear customer, thank you for your feedback! We are constantly working on search and adding new images to the application. 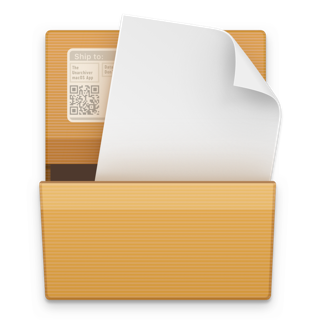 We will do our best to make Wallpaper Wizard 2 even more convenient for users. Sincerely, MacPaw Team. I originally stumbled upon this app when I was searching for a nice HD abstract art background for my new computer. 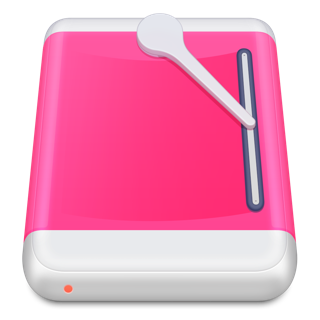 I had seen a cool slideshow of colorful abstract backgrounds playing on the computer models at the app store and I really wanted to get a similar design for my computer’s desktop. I searched around the internet for a while before looking to the App Store where I immediately saw and opened the app. I waited about 2 seconds before downloading and I am now in love with the artwork and architecture sections of backgrounds. My favorite collection is probably “The Best of Kiki Ljung” because it is full of pictures similar to the ones I originally saw in the Apple Store. 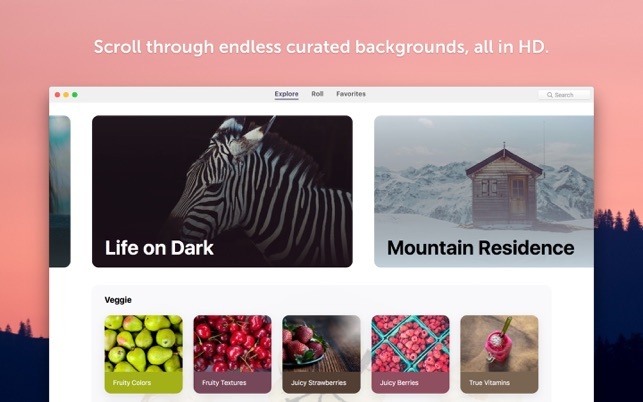 Needless to say this app is amazing for anyone who likes having unique, amazingly aesthetic backgrounds for their macs or laptops and I continue to recommend it to all of my friends. I have been a long time user of the original Wallpaper Wizard (iTunes say I bought it Sept 2011). I loved it and still love it today. Over the years it has had some issues when a new OS was released, but the developer always fixed it. When I re-installed for macOS High Sierra I was having problem logging into my wallpaper wizard account. I checked and they had a new version and figured I would support the new version since I have enjoyed the software for so long. That was a mistake. The new version is terrible. * Doesn’t support separate backgrounds on different desktops. I decided to reload the original version of Wallpaper Wizard and boom it is working. Seems like the night I installed High Sierra they were just having an issue because now I have logged into my profile and everything is working great. If you have the original version just re-install it. If you want to support the “NEW” developer wait until they make this better or at least until the features catch up with the original.